The IMF move to extend a bailout to Kiev only serves the US foreign policy agenda and does nothing to save Ukraine from economic meltdown, according to former US presidential candidate Ron Paul, who says the whole system cannot be fixed but only scrapped. 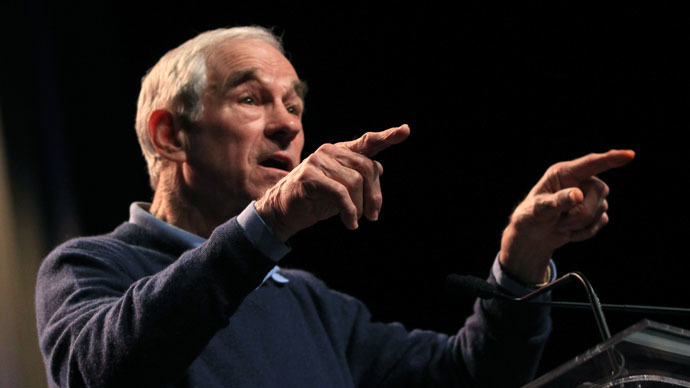 “A responsible financial institution would not extend a new loan of between 17 and 40 billion dollars to a borrower already struggling to pay back an existing multi-billion dollar loan,” Paulwrotein an opinion piece for the Ron Paul Institute. The new four-year IMF extended arrangement is designed to support economic stabilization and wide-ranging reforms in Ukraine. Yet, Paul argues, the new loan scheme does nothing for the Kiev-government allied to Washington, the IMF’s principal financier. “This new loan may not make much economic sense, but propping up the existing Ukrainian government serves the foreign policy agenda of the US,” Paul writes. The US politician goes on to accuse the IMF of “tailoring” its actions to advance the US government’s foreign policy goals. “The IMF also has a history of using the funds provided to it by the American taxpayer to prop up dictatorial regimes and support unsound economic policies,” he writes. Although Ukrainian President Petro Poroshenko signed off on legislative measures to drastically reduce spending and approved changes to the tax system, the loans still fail to promote a free market, Paul says.